Hi and Thank You for joining us on this super fun hop! Sandra from 365 Days of Cricut is due to have Baby Olivia very soon. So we thought what better way to celebrate than with A Baby Olivia Baby Shower Hop! 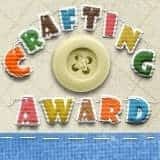 If you found me first, please go to the beginning at http://callyanncraftycreations.blogspot.com so you don't miss a thing! Ok so sit back, relax, grab a Diet Dr. Pepper or coffee and have fun! I started with my Gypsy. I got the sentiment from Creative Memories Stork's Delivery and sized it to 3.12 inches. I flipped it and cut it out of freezer paper. I set my E2 to Light Paper. When I use my Expression, I use 3-3-3. Make sure to put the shiny side of the freezer paper up. I bought a pack of onesies and some soft tulip fabric paint in hot pink. I ironed on the freezer paper stencil shiny side down. I added the inside cuts carefully so as not to burn my fingers! I put a piece of chipboard inside the onesie and painted inside the stencil with a foam brush. I peeled off the freezer paper. Simply Gorgeous just like Baby Olivia!! Thanks so much for helping us celebrate Baby Olivia! Here is the line-up if you get lost! This week at Frosted Designs, we challenge you to Recycle or Upcycle. 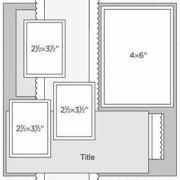 You can create a layout, card or altered (upcycled) project. For my project today, I painted a wine bottle, used part of a lampshade, added clips from curtains I no longer have and a bit of denim from an old pair of jeans. I created my own version of the clip it! I spray painted a wine bottle with primer and then black paint. I cut the word Create from Home Decor at 1.24 inches out of a scrap of purple vinyl. I took apart the lampshade. I saved the bottom hoop for another project. I added some clips that were on some drapes when we moved into this house. I donated the drapes, but kept the clips. I adhered the vinyl to the bottom of the wine bottle. I put the cork into the bottle and hot glued the lampshade frame to the top of the cork. I took a strip of my old jeans and glued it on a cardstock circle to make a flower. I glued the flower on top of the cork. I added some of my embellishments and put it on my desk! I will be using the rest of the lampshade, more denim, more purple vinyl and a cookie sheet find from the good will in upcoming projects! Lori here again from ScrappinMyStressAway with another layout from this sketch. 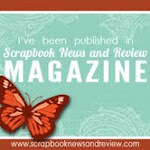 This week at Sweet Sassy Diva's BLOG we all creating such amazing layouts from the same sketch. I love looking at all of the different interpretations of the same idea!! We saw The Cat in the Hat, Sam I Am and the Grinch at Universal Studios. I used the wallet sized photos in Tanner's Autograph album, but the wallets print out in sets of two which is a perfect size for this layout! I love the photo of Tanner hugging the Cat in the Hat!! Here is the screen shot from this layout as well as Sea World. For my font, I used Hannah Montana. I sized my letters to 1.71 inches. I cut out my title out of red cardstock. I love this look for the title! I used red and white striped paper (behind the black paper) to mimic the hat. This paper came from DCWV The Nantucket paper pad. I included a ticket and some bright colored cardstock to finish the layout. Thanks for having me back again this challenge Bobbi Jo!! Welcome to the Spring Inspiration Pink By Design Blog Hop ~ I am so excited to be here!! Our assignment today was to use the above photos for inspiration to create a project. You should have arrived from DANA. If you found me first, please go to the BEGINNING so you don't miss anything!!! Here is a complete line up just in case you get lost along the way! The things that inspired me from the photos were the colors orange and blue, the triangle banners and the pinwheels in the iced tea. I started with the paper I found at Hobby Lobby. I took two papers and cut out the pinwheel from Mother's Day 2010 at 3.62 inches. I used my Gypsy to size up my project. I also cut the triangle banner flags out from Mother's Day 2010 at 5 inches using light blue cardstock. I cut out these scallop shapes from Mother's Day Bouquet at 2.18 inches out of white cardstock. I used my PBD Everyday Occasions stamps to add some green, blue and orange color to them. I inked the edges of the circles green. I wanted a little bit of color and added the butterflies at the last minute. I was afraid they would be too big but you can hardly see them once the pinwheels are assembled. I cut out the orange polka dot paper first. Then I flipped my design and cut out the plaid paper. I adhered my papers together. I intended on using double sided paper but did not find the right colors so I made my own! I used a brad to attach the pinwheel together and to the circle. I found these skinny straws at Michaels in the dollar bin and taped one to the back of each pinwheel. I trimmed the straws so they were not longer than the banner flags. I used orange DMC floss to string my banner together. I wanted to use twine, but did not have orange and tried to make my own but ran out of patience!!! I think the solid orange looks better so it was all good! Here is a close up of my pinwheel. I hung my banner on my daycare door and one of my moms has been eyeing it all week!!! I will give it to her and make her day!! I hope you are having a wonderful spring! Thanks so much for stopping by today! We hope that we have inspired you to create a project too! 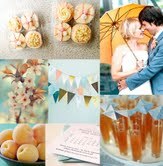 Just use the photos at the top of my post as inspiration and link up your project at Pink By Design within 2 weeks!! Your next stop is the marvelous MELISA! 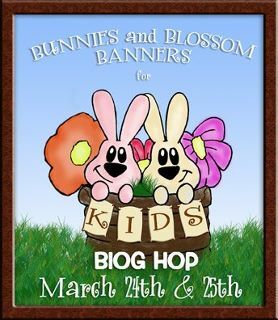 Welcome to the Bunnies and Blossom Banners for KIDS!! If you are looking for the Memories in Tyme Easter Blog Hop, please go HERE! Forty very talented crafty people have come together for a two day hop (Friday March 24th and Saturday March 25th) to showcase handmade banners that will be donated to the children at Pediatric Specialty Care. The hope of these banners is that they bring smiles to these children's faces and awareness of Pediatric Specialty Care to all those that hop along. Here is a complete list of the blogs in Friday's hop. And now, on to my project. The first thing I do when I create is grab my Gypsy. I found the Scalloped Eggs on Easter 2010 and sized them to 4 inches. I cut them out in yellow cardstock. Also at 4 inches is the regular Egg from Easter 2010. I cut the eggs out of this beautiful paper from DCWV called The Painted Petals. I wanted grass on the bottom of the egg so I grouped the grass from Easter 2010 sized at 1.94 inches with the egg shape. By grouping the grass with the egg, the sides of the grass will be shaped to fit the egg perfectly. I used two different bunny shapes from Easter 2010 sized at 1.90 and 1.59 and cut them out of shimmery pink cardstock. I cut out the word "spring" from Art Philosophy at .88 inches and cut it out of the same cardstock. I assembled the pieces and added Liquid Pearls for the bunny eyes. I added some flowers by punching out two different sizes of circles, crinkling and inking them. I used brads to fasten them together. I glued pink ribbon bows to the top of each egg and strung the eggs together. I punched out green circles and glued the letters on to spell out SPRING. Thanks for stopping by today!! These kids and their families LOVE these banners!! We DO have a tasty bit of blog candy to thank you for visiting us today! What's the prize??! To qualify, there are two steps: 1. Comment on as many Bunny & Blossoms Blog Hop blogs as you wish -- the more blogs on which you comment, the more chances you have to win. There will only be one winner, picked at random by Random.Org. 2. 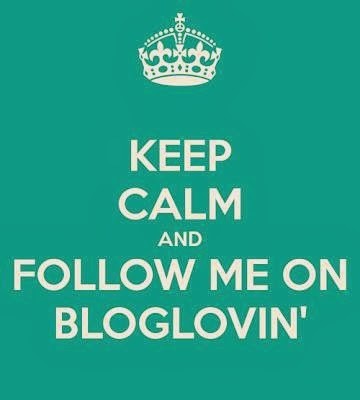 Follow and comment on the CardMonkey blog ... Leave a comment on our Hop Hostess's site (http://cardmonkey-business.blogspot.com) and let her know if your name is picked, what 2 accent colors you'd like on your Cricut Cozy Cover, and what text you'd like embroidered (up to 3 lines). You MUST be a follower of the CardMonkey blog to win and you MUST leave a way for her to contact you if your name is picked. 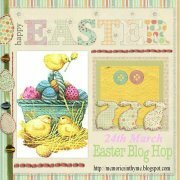 Welcome to the Memories in Tyme Easter Blog Hop. In this hop you will see cards, layouts, decorations and gifts to celebrate Easter. You should have arrived from JANET. If not, please go back to the BEGINNING so you don't miss anything! For my project today I decorated a bucket with some vinyl for my son. I started with my Gypsy and found this cute font on 3 Birds on Parade. It has little birdie feet in the letters ~ so cute!! I sized the letters to 1.24 inches. I grabbed the bunny from Celebrate With Flourish and sized it to 4.18 inches. Because this is for a boy, I left off the top layer with the flourish cut into it. I cut out 9 eggs from Easter 2010 sized to 1.12 inches. I loaded up my vinyl on my mat. I save my scraps for this purpose. This is my first time cutting vinyl on my new E2. On my Expression, I set my speed, pressure and blade depth to 3-3-3. On the E2, you select Vinyl - kiss cut. Super easy! I carefully placed the pink bunny layer on the green bunny piece. I got my bucket from Michaels for $1.00. I put Tanner's name on the back of the bucket. I put the bunny on the front. I put the colored eggs around the bottom. Here is the back. If I were making this for a girl, I would add gems to the eggs, flowers and bunny! Your next stop in the hop is RHONDA.